Anger and resentment burn us from inside. They not only keep peace away from us but also affect our health. The energy that we generate from all the anger and resentment is very dirty and this negative energy can affect our aura and our chakras. This will bring in dissatisfaction, sadness, and depression. In the long run, accumulation of this negativity may manifest on our physical body as High Blood Pressure, Severe Kidney Ailments, Arthritis, Asthma and even Cancer. It is like carrying a huge load on our back. Also if we cannot forgive, we cannot expect forgiveness from others and we keep being the object of resentment and anger of the people we have done wrong to. 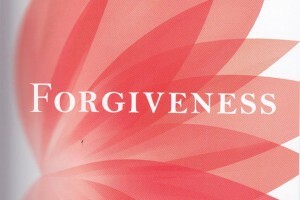 So to receive forgiveness we need to learn to forgive first. It is as master says that we need to give what we want to receive. Master has said, By Forgiving and Blessing, you stop wallowing in mud and you achieve Inner Peace and Freedom. 1. At the moment of death. 2. After several years. 3. After several months. 4. After few weeks. 5. After few days. 6. After few hours. 7. Within few minutes.